Good morning! A very happy weekend to you. I have been waiting for the weekend since Monday, do you ever have weeks like that? It is going to be a cold, rainy weekend and I have to do my taxes so I will not be doing anything fun outside but at least I do not have to work and I can take breaks and read my new stack of books. 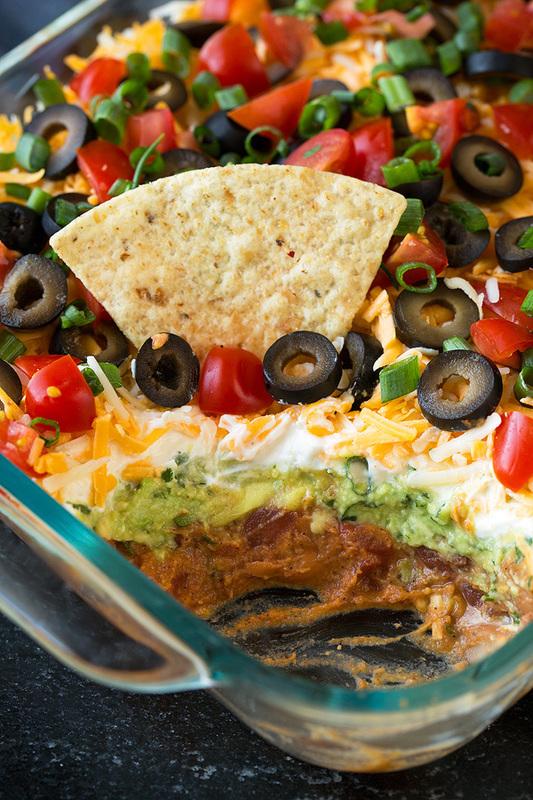 If you are a basketball fan and need a little snack for "the Final 4" this classic 7 Layer Dip from Cooking Classy is perfect for game day. I am not a huge fan of basketball but I would show up to watch a game if you sever me a platter of this scrumptious looking dip. 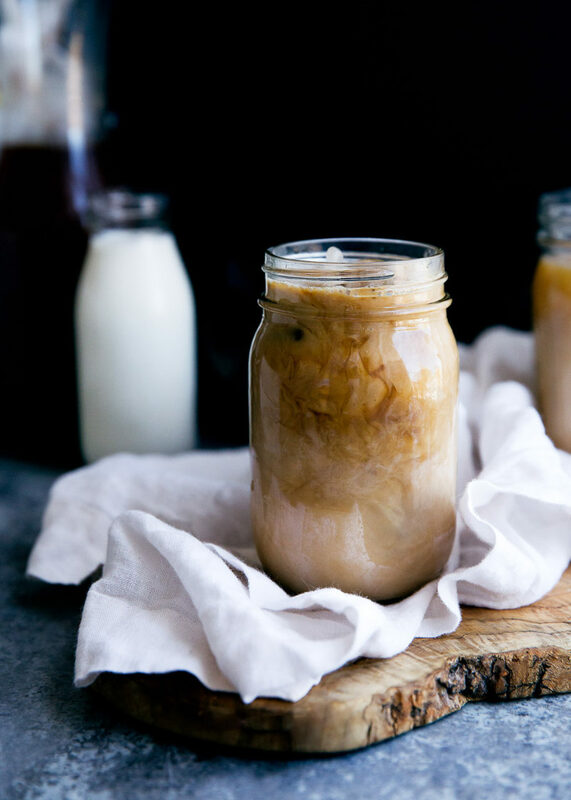 Summer is almost upon us and for the Iced Coffee lover in your life Broma Bakery has the perfect cold brew recipe for you. 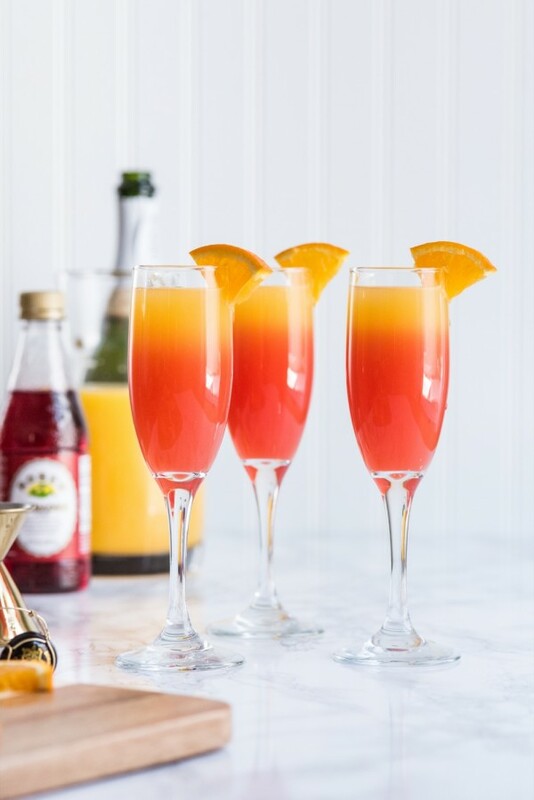 We are going to be entertaining a lot this summer and I am already compiling a list of new recipes to try this Tequila Sunrise Mimosa Recipe from The Sweetest Occasion is on my list. I might have to try it Sunday at brunch. and these fun Confetti Eggs from them as well. 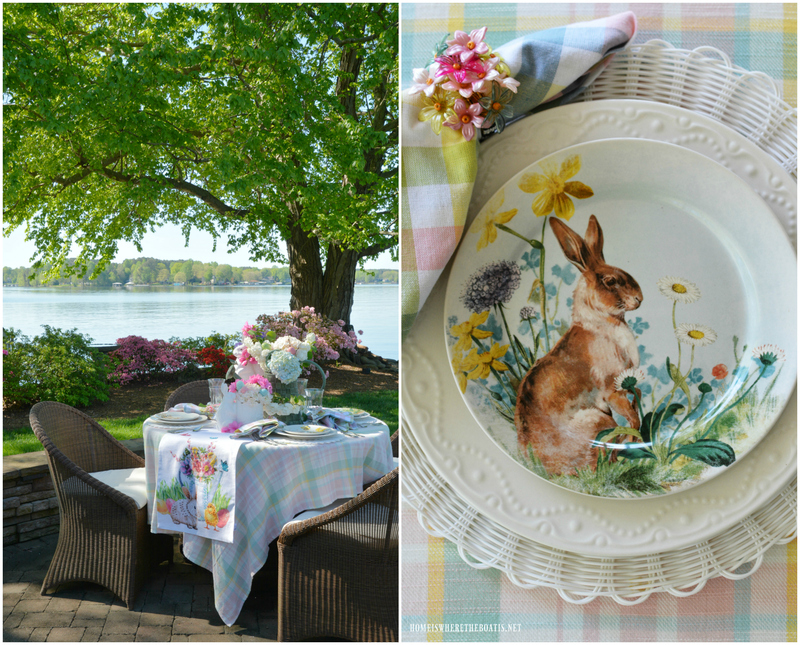 Beatrix Potter has always been a favorite of mine as is the Lake District of the Britain. 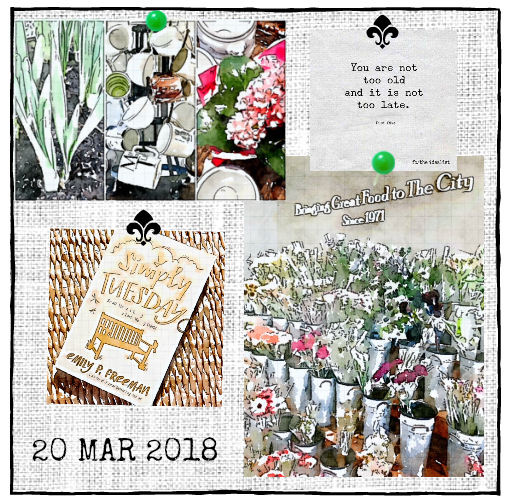 This week Madelief posted about her trip the Hilltop Farm the house of writer and illustrator Beatrix Potter and the cute little town of Hawskhead. I have visited both of these places and they are magical. Check out her post to see the beautiful scenery of the Lake District and the wonderful home of Beatrix Potter. 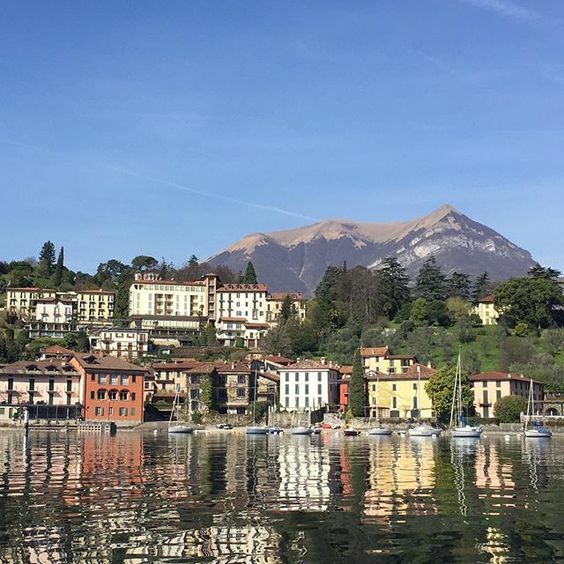 And if you are thinking of visiting Switzerland or Italy anytime soon check out Sandy from You May Be Wanderings' Instagram feed. Did you read any interesting books this week? See a good movie? Make a special or memorable recipe? If so please share I love learning about new things. 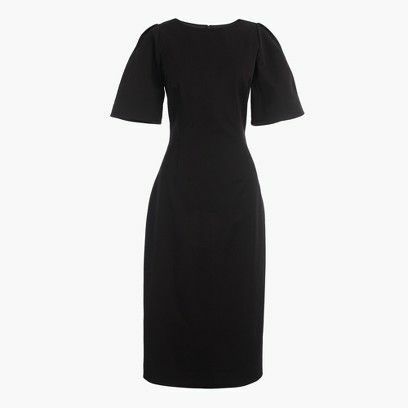 Just Curious...What Do You Consider a Classic Wardrobe Piece? Good morning! Lately I have read many articles with titles like "50 Classic Pieces You Need for Your Wardrobe" or the "25 Absolutely Essential Items Every Woman Needs in Their Wardrobe" which had me thinking about my own wardrobe. 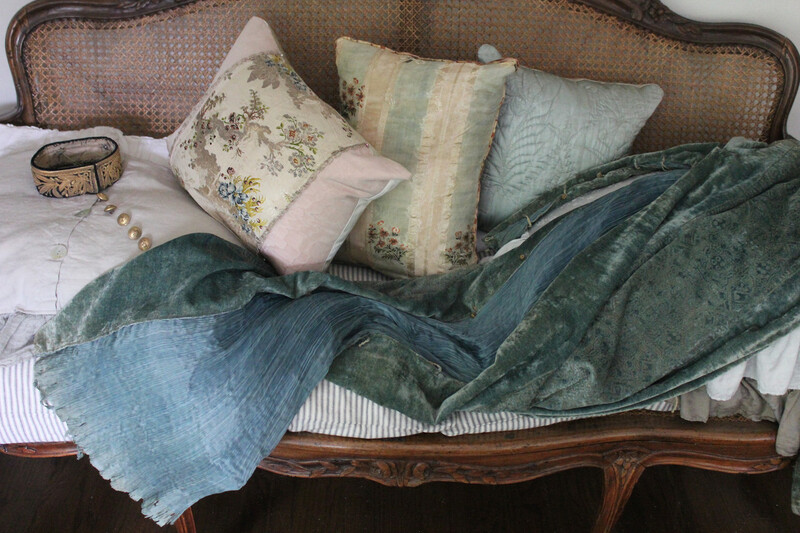 I am not a trendy person, not for my home or my wardrobe. I have always loved classic pieces. That said, I have learned as I age to find classic pieces that fit not only my body type but also my lifestyle. I work from home so I do not need a lot of skirts, dresses, heels, etc. My wardrobe essentially consists of yoga/workout clothes and "other clothes". My winter wardrobe consists of white t-shirts, and button down shirts, white or dark jeans, and a cashmere sweaters peered with ankle boots. If I am dressing up it is a "little black dress" or a skirt and a blouse. In the summer I like cigarette pants, or shorts paired with white t-shirts, or white button down shirts. Don't get me wrong I love a beautiful linen dress or a colorful sundress as well but for the most part that is my summer "uniform." So tell me, do you choose classics for your wardrobe? Or do you like trendy pieces? Or perhaps a combination of both? 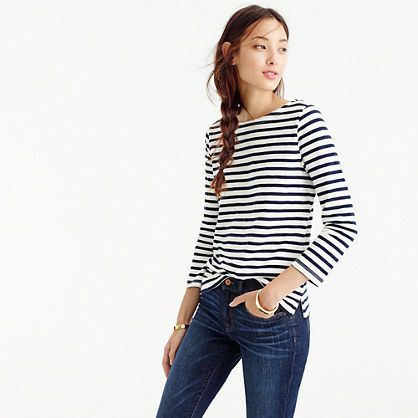 What do you consider the top 5 classic wardrobe essentials? 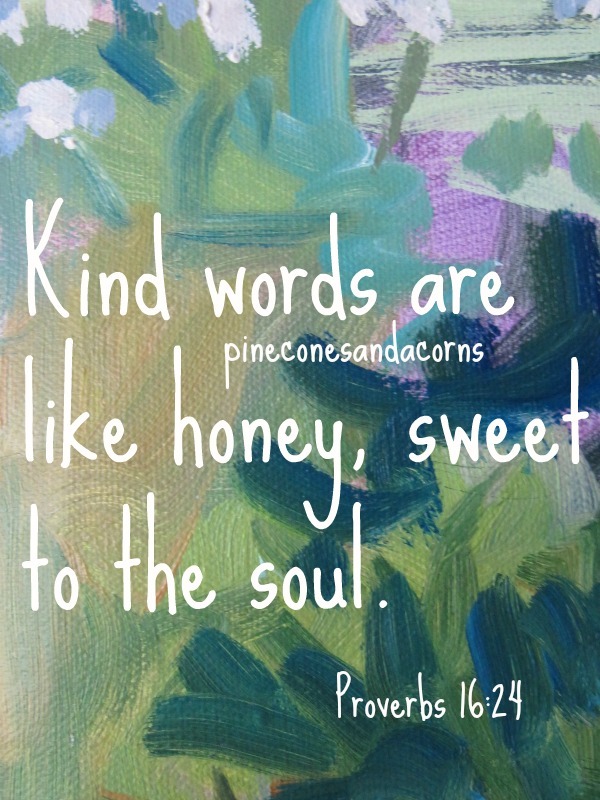 Is their a brand that you gravitate toward? Do you have a "uniform" or "go-to" pieces that you turn to again and again? I am looking forward to hearing your classic choices. Below are some of the items that I read "were classics for every woman's wardrobe?" What do you think? Good morning! How was your weekend? Mine was fabulous because I got to spend it with my mother. We stayed home, sat by the fire, read magazines, watched movies, talked and enjoyed one anothers' company. All in all a very relaxing and restful weekend. 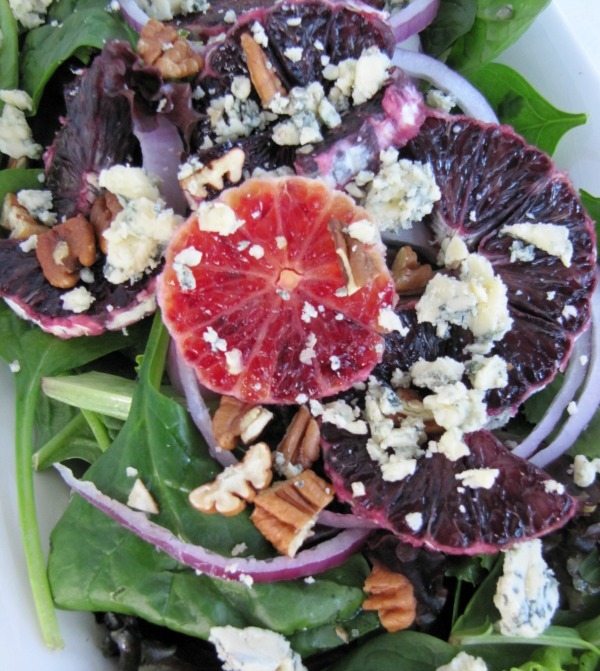 Recently I made this scrumptious salad using blood oranges that I received from Limoneira. I love citrus fruit but typically only eat it as a snack. But when I was asked by Limoneira if I would like to try a few different kinds of their oranges I though perhaps I would try a few new recipes as well. This blood orange salad was one of the things I came up with. In a large bowl mix the salad greens then arrange on plate, add onion rings. 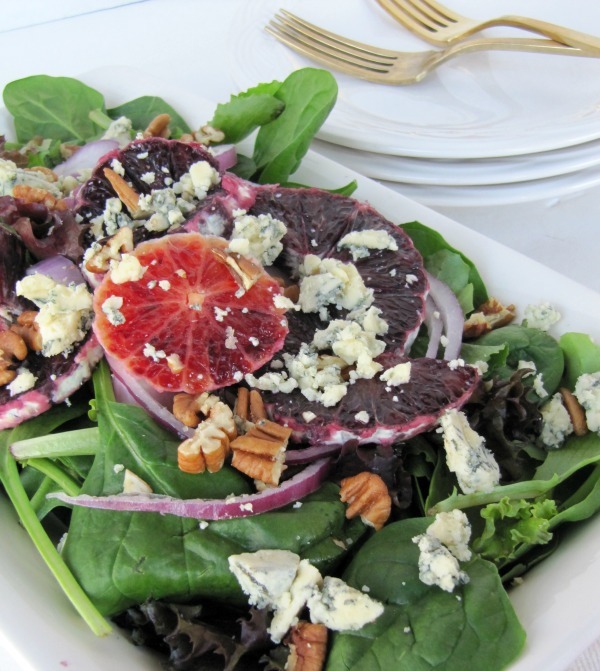 Sprinkle with toasted pecans and blue cheese, then arrange orange slices. Drizzle with dressing. Place olive oil, balsamic vinegar, apple cider vinegar and maple syrup with salt and pepper to taste in a screw top jar and shake to combine. This salad is refreshing and a great recipe to add to your Spring table. 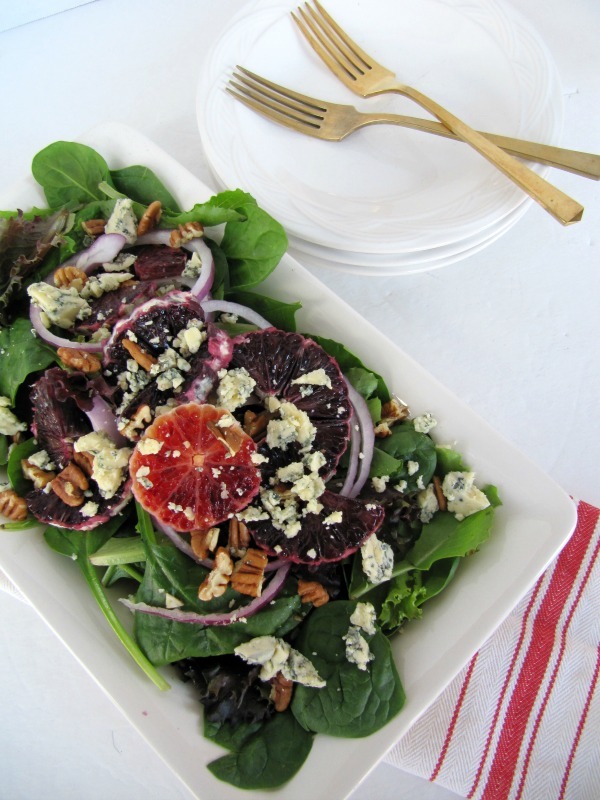 The sweet blood oranges, with the creamy, slightly salty blue cheese and the crunchy nuts are a delicious combination. Good morning! How was your week? 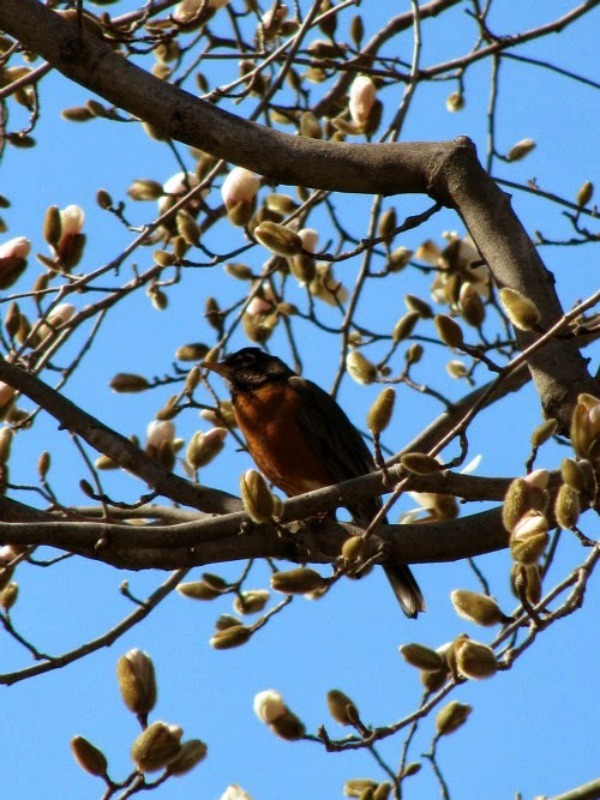 Are you enjoying the first week of Spring? My week could not be better because my mom is visiting. We always have a great time together, baking, talking, working on projects and just enjoying one anthers company. I have been trying out new recipes on my mom as well. 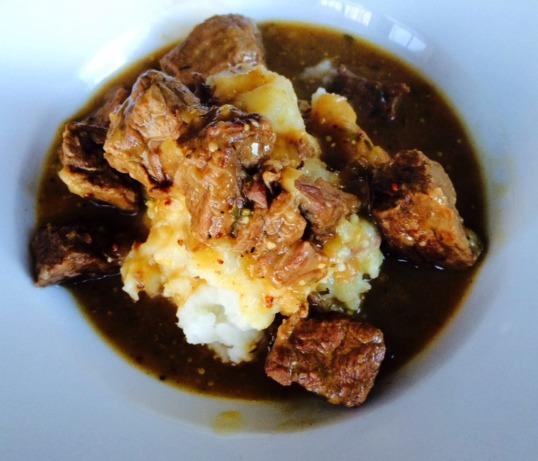 Yesterday I made this Carbonnade Beef and Beer Stew from Simply Recipes. It is not only easy but delicious and can be served over french fries, potatoes or noodles or just eaten plain with some vegetables. 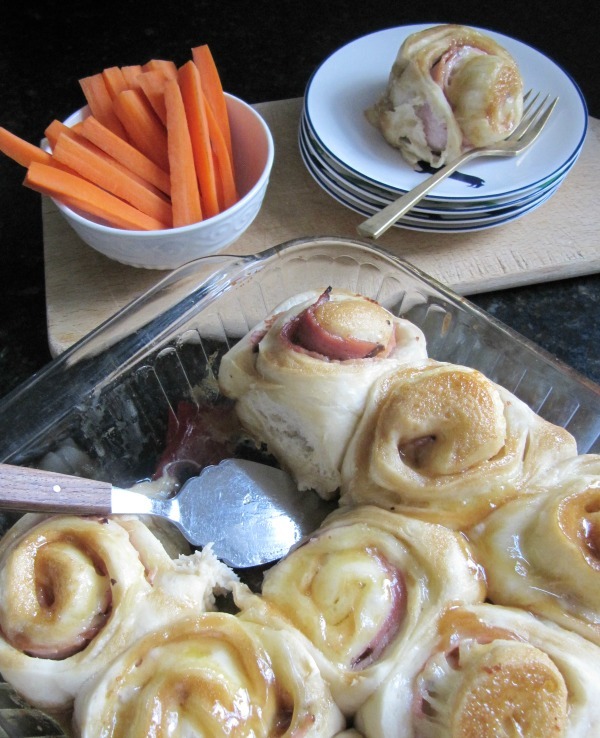 If you are looking for an easy sandwich for breakfast, lunch or a light dinner check out the Hot Ham and Cheese Roll-Ups using Rhodes Frozen Bread Dough that I recently made for the Rhodes Blog. 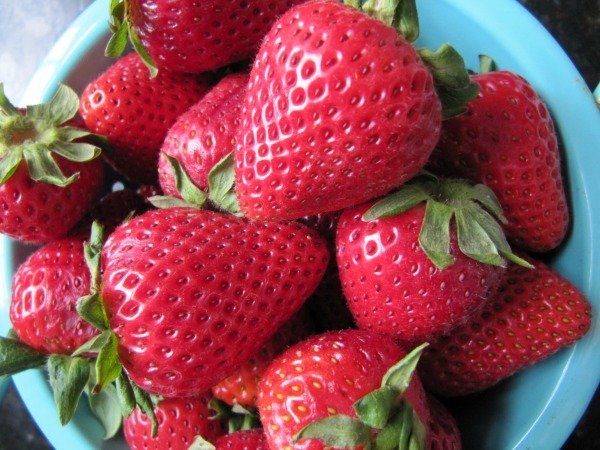 They are great with a bowl of fruit for breakfast, or a salad for lunch or dinner. They are also great as appetizers for parties, picnics and weekend game days. 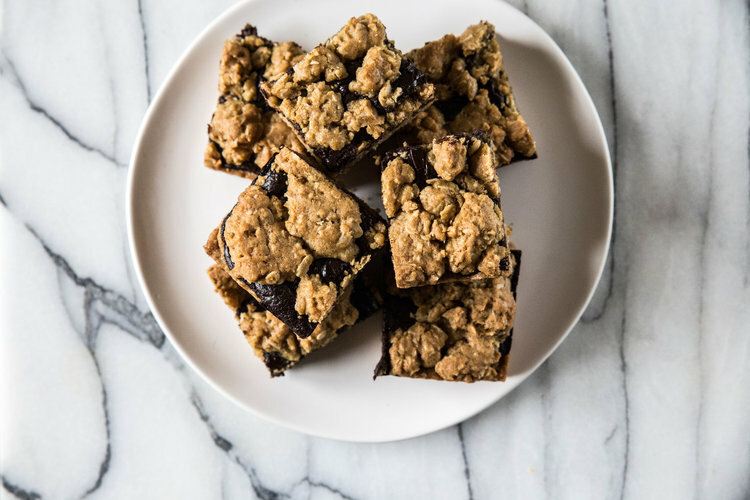 I cannot wait to make these Oatmeal Fudge Bars from The Pastry Affair. 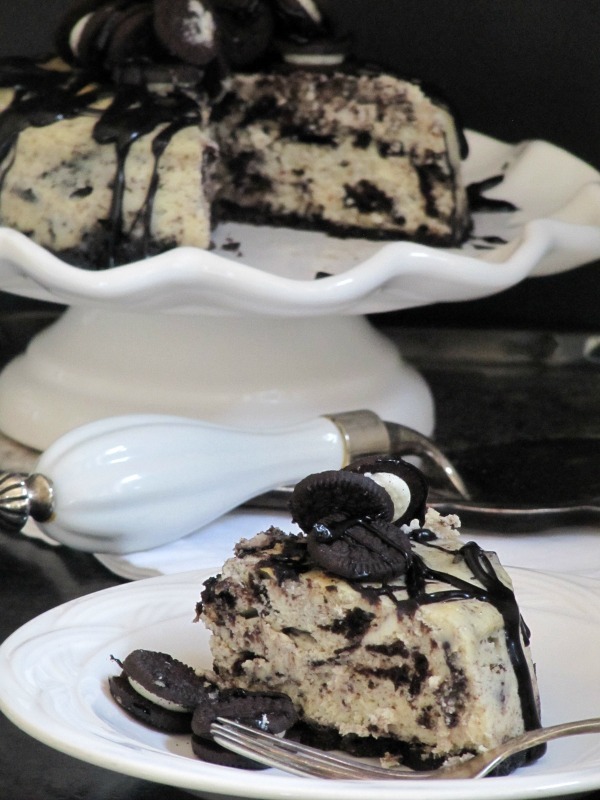 But if you want something a little more decadent what not try this Oreo Fudge Baked Cheesecake. 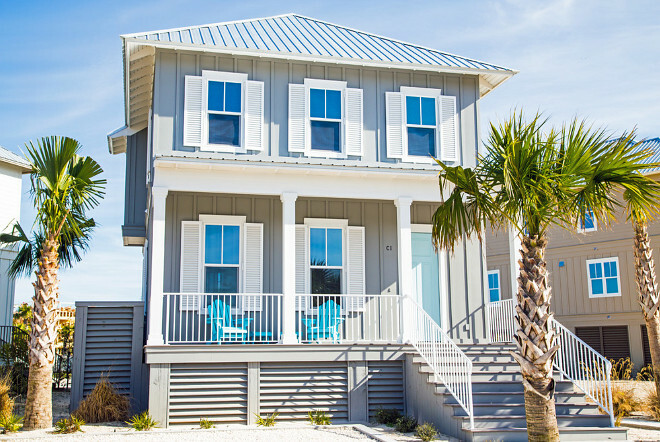 I love a cute beach house and the Beach Cottage featured on Home Bunch looks like the perfect place to spend summer days. Have you seen the movie Collateral Beauty with Will Smith? I watched it last night and I really liked it. I always write "to-do lists" do you? Are you successful at ticking things off of your list? If not perhaps you want to try this list instead. If you read a good book, watched a movie that you enjoyed or made a delicious recipe I would love to hear about. 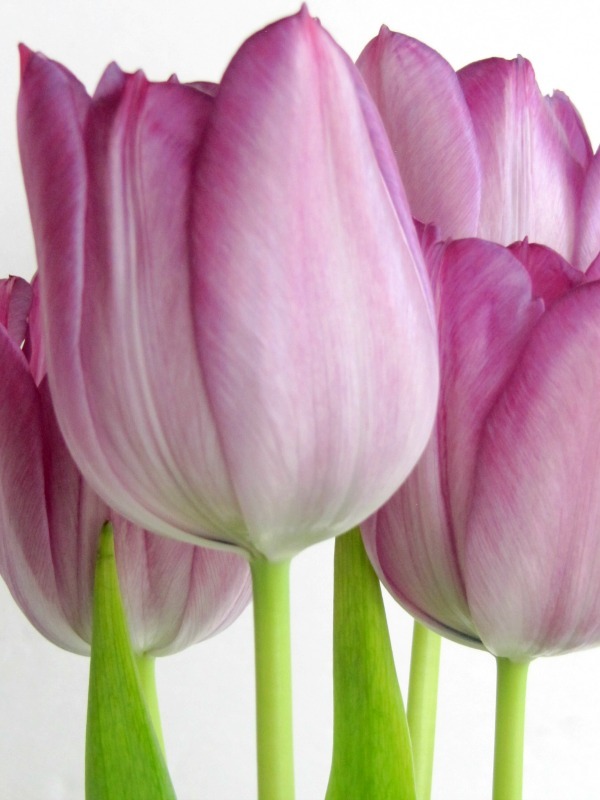 Just Curious...What is on Your Spring Bucket List? Good morning! Spring has finally arrived, at least on the calendar that is, the weather is not cooperating though. I was saddened to read that over half of the Washington D.C cherry blossoms probably won't make it because of the bad weather last week. They are a special sight to see so if you ever get the chance to be in D.C when they are blooming make an effort to take a look. Here the daffodils are in full bloom and the trees have buds just waiting to burst. I personally am waiting to start ticking things off my bucket list. In the past I never really made bucket lists but as I get older I find myself making lists at the beginning of each season or holiday so that I can enjoy not only my old favorites but also add a few new experiences in as well. I am curious, do you make "bucket lists" for the seasons? If so, what do you want to do, see or experience this spring? Aside from a few weekend jaunts and a stack of Spring recipes I do not have much else on my list. But I would enjoy hearing about what you like to do in the Spring. Good afternoon! Happy Spring! I cannot believe it tis the first day of Spring when yesterday we had a freak snowfall for about 10 minutes. Today it is bright and sunny although it is a little cold. Did you have a good weekend? Mine was busy. We are remodeling two bathrooms and we spent the day picking fixtures, lights, sinks, tile, etc. We are also having 4 rooms painted so we spent what seemed like days picking out colors. I also made a few treats because my mom is coming for Spring Break! I cannot wait. 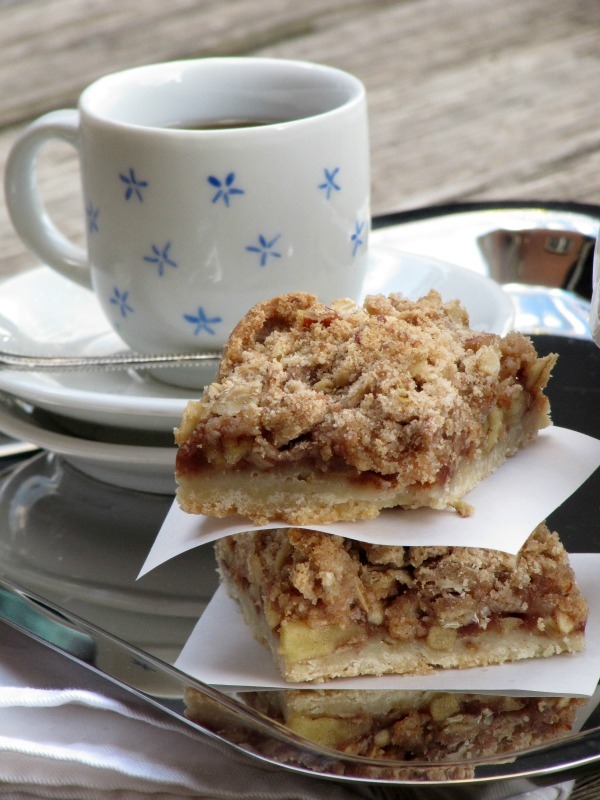 One of the things I made are these easy and delicious Apple Streusel Bars. 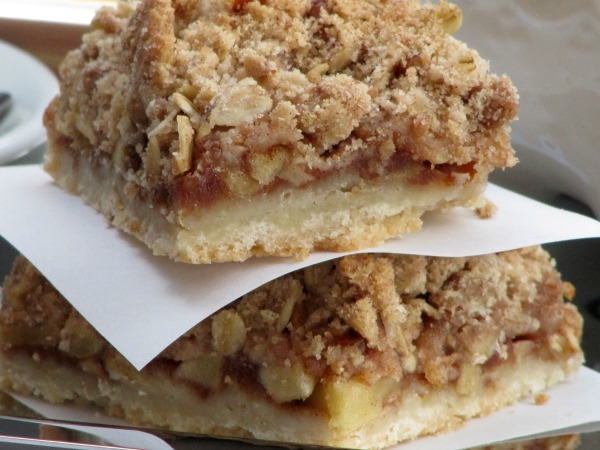 If you like apple pie that you will love these bars, they have a shortbread type crust and are spicy, sweet and nutty. Preheat the over to 375. Line a 9 x 13" baking pan with aluminum foil, leaving some excess on the sides for easy removal from the pan. Spray the foil with cooking spray or lightly butter. In a medium bowl combine the flour, sugar and salt, stir to combine. Then using two knives, a pasty blender or a fork, cut the butter into the flour mixture until the mixture looks like damp sand. Set aside 11/4 cups of this mixture. Press the remaining mixture into the pan and bake for 10 minutes. Add apples and lemon juice to a large bowl stir to coat the apples, then add the brown sugar, flour, cinnamon and nutmeg, stir again to combine. Pour the filling into the warm crust and spread in an even layer. Add the brown sugar, oats and nuts to the reserved 11/4 cups flour mixture. Stir to combine then sprinkle the mixture over the filling. Bake for 30 minutes. Cool completely in the pan on a wire rack. Remove from pan using the foil overhang and cut into squares. 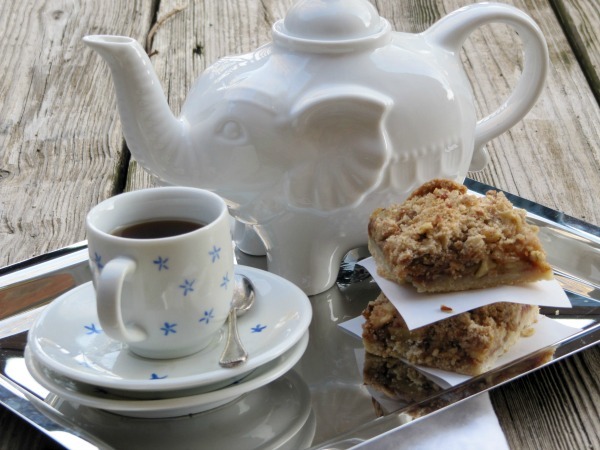 Enjoy with a cup of coffee or tea. 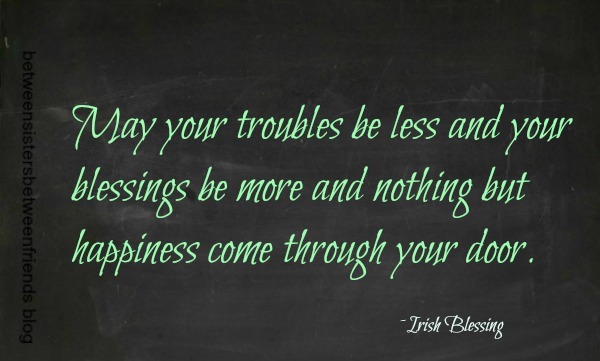 Happy St.Patrick's day and a happy Friday to you. I am sure that many of you who have been in the path of the snow storm are ready for the weekend. 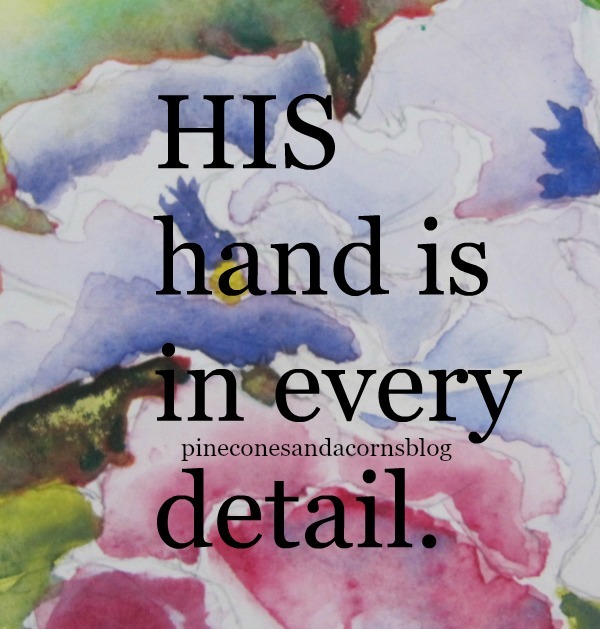 I know that I am. It has been a crazy week here between work, all of the workers coming and going and the freezing cold weather I want to stay in and do nothing. OK, not nothing but nothing important. 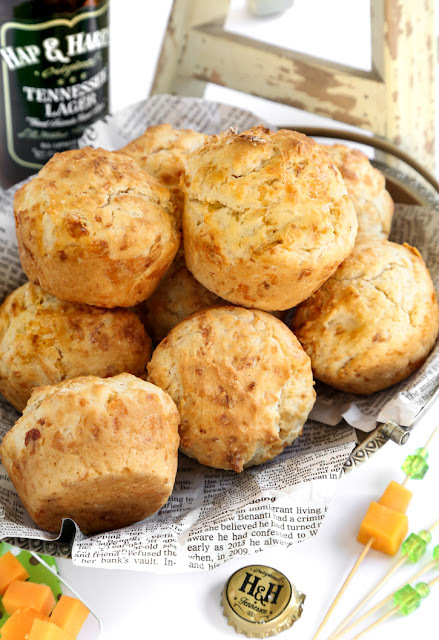 I will be making these Bacon Smoked Beer Bread Muffins from Sprinkles Bakes this afternoon to accompany the Bangers & Mash my husband wants to eat for dinner. 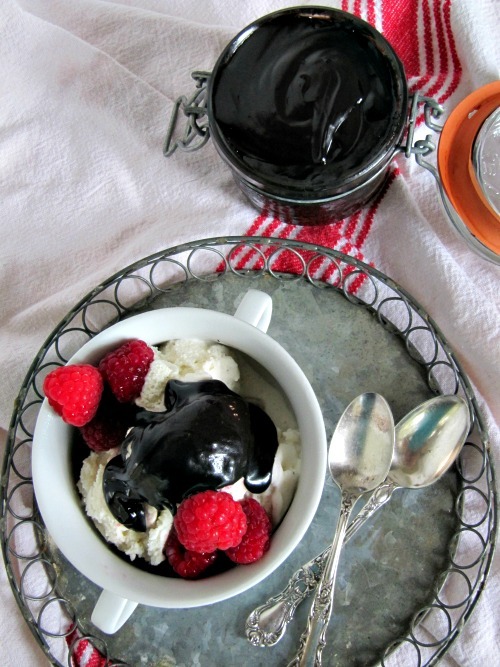 If you would like a little tasty treat that you can pour on ice cream, cake, cookies or just eat out of the jar try this scrumptious Bailey's Hot Fudge Sauce. If you need a few more recipe for St. Patrick's day check out the 24 Essential St.Patrick's Day recipes for Your Celebration from The Kitchn. David Lebovitz is one of my favorite chefs, cookbook authors and bloggers and I love learning new recipes form him. 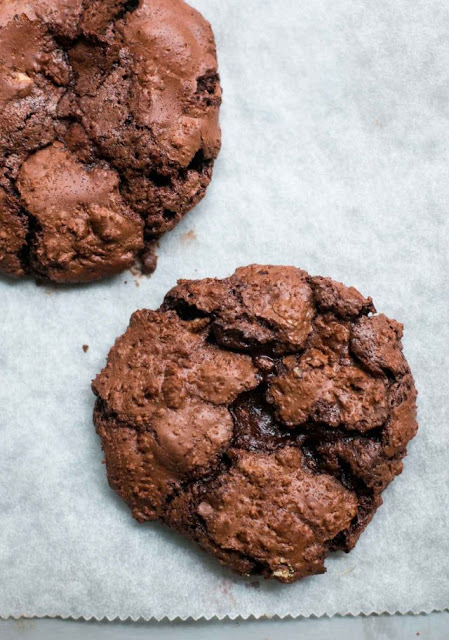 I think these Chocolate Chocolate Chip Cookies would be a tasty treat for this weekend. I discovered this beautiful peacock painting on Etsy and more from this fabulous artist. 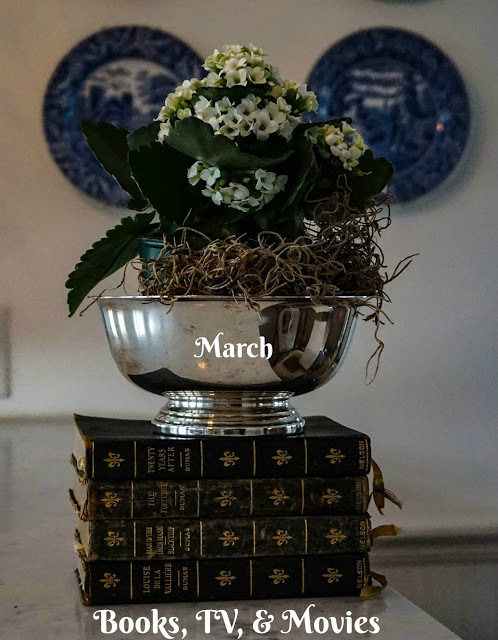 Pamela at From the House of Edward wrote a great post with her Spring Reading List and if you are looking for something to read to get you through the strange weather this list has some fabulous book. Are you a fan of decorating books? 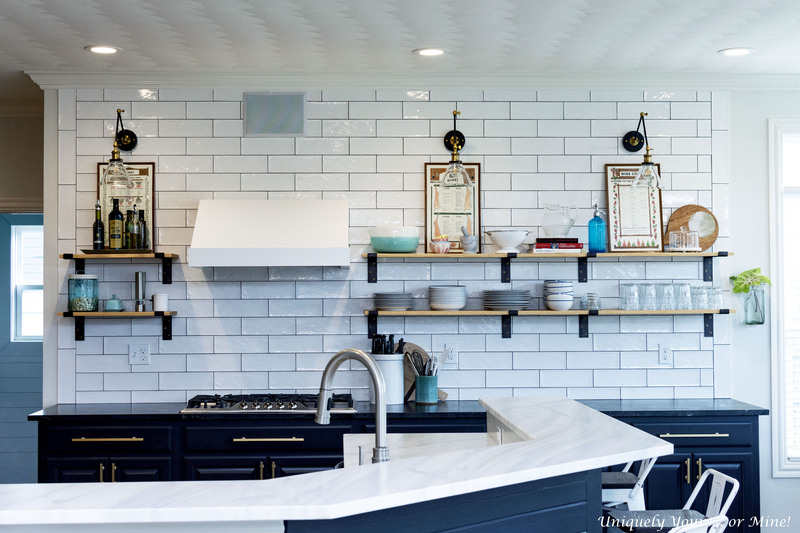 Than this post and list by Between Naps on the Porch is something that you need to read for all the latest and greatest in decor. Did you see the movie Manchester by the Sea? What did you think? 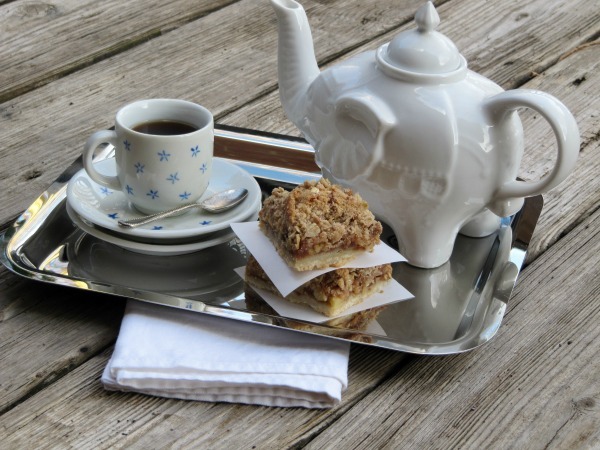 Did you read, bake, make or see anything interesting this week? If so please share I love learning about new things. Have a great weekend. Be safe in the next storm and if you go out to celebrate St. Patrick's day. Good morning! 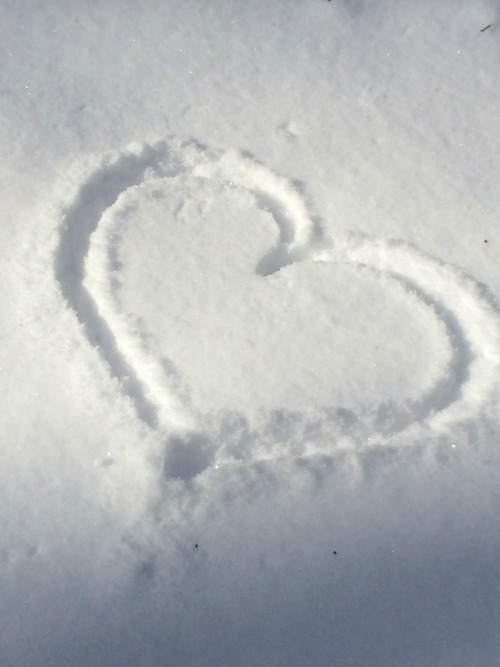 Have you cleared out from the snow? As I said we did not get any snow but it has been below freezing and we are having gale force winds, making it a wee bit chilly. It is hard to believe that just last week I was sitting outside in shorts and a t-shirt enjoying a 76 degree day. Spring by the way is mere days away. 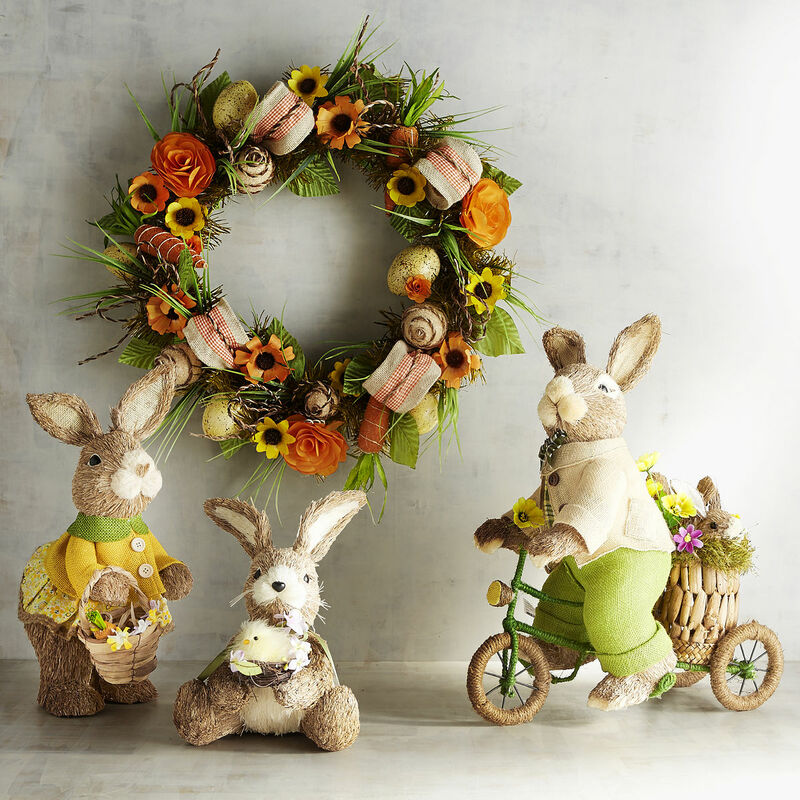 I was a my local Pier 1 recently and for those of you who are looking for a few bunnies for your Easter decor they have the cutest natural bunnies and wreaths. Stay warm, I personally will be staying inside working until it reaches at least 42, and have a great day. Its almost the weekend. Just Curious...Do You Celebrate St. Patrick's Day? Good morning! Did you survive the storm? Hopefully everyone that lost their power has it back by now. We had a lot of rain and gale force winds other than that it was fine. 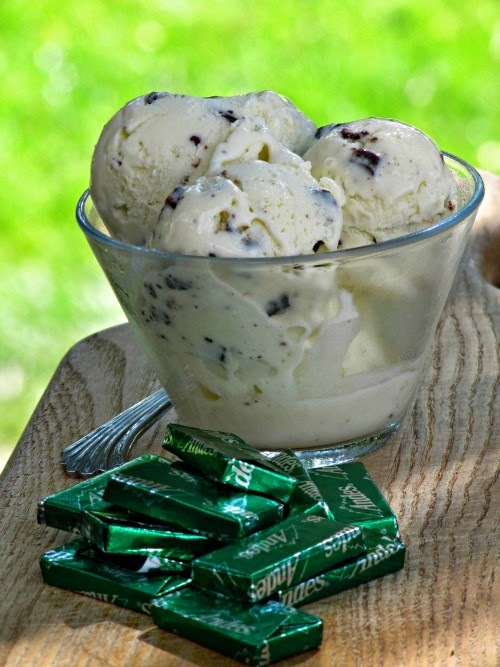 Friday is St.Patrick's Day and I am curious do you celebrate the day? Or do you believe that only the Irish should celebrate? If you do celebrate, did you go to any of the parades? I have read that in Ireland it is a religious holiday and is spent celebrating St. Patrick and I do not mean at a bar. For those of you "in the know" please let me know. 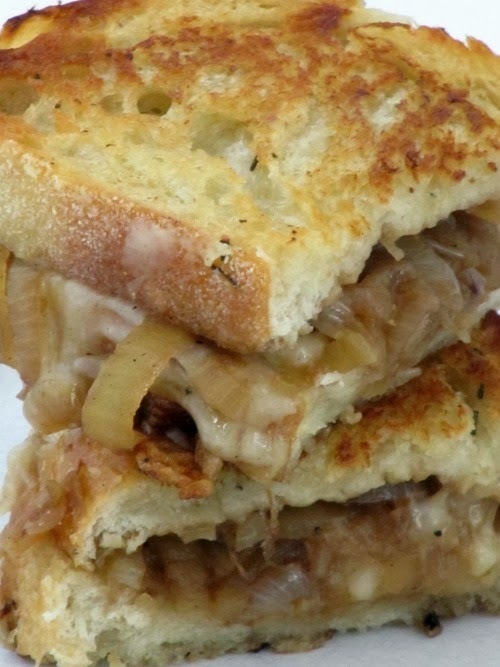 I do not like corned beef and cabbage, I will eat a Rueben sandwich but I am not sure that it actually an Irish meal. I will be having Bangers and Mash. 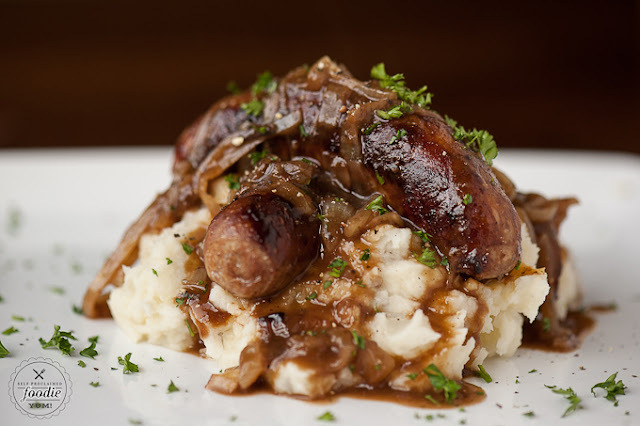 I could do without the bangers and just have a big bowl of mashed potatoes and stout onion gravy because creamy, butter laden mashed potatoes smothered in gravy are one of my favorite savory meals. What about you? 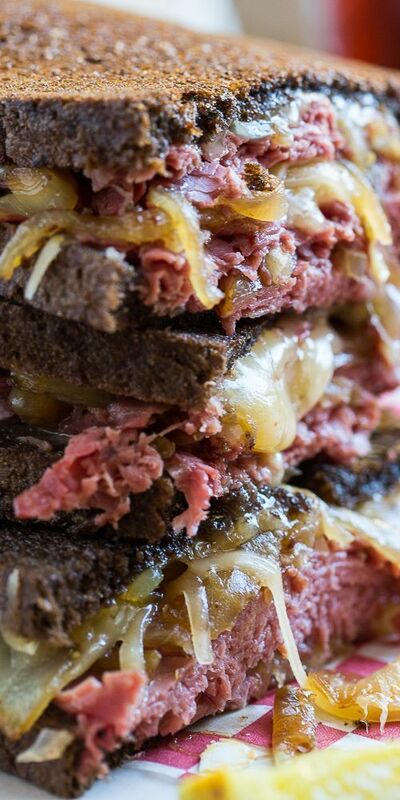 Do you celebrate with a traditional meal of corned beef and cabbage? Or do you make and eat something else? Will you be downing a pint or two of Guinness? I read that 5.5 million pints of Guinness are consumed a day, on St.Patrick's day that number DOUBLES! That is a lot of beer. If you don't want to waste your calories on savory food and beer than you could make Nigella Lawsons' Stout Cake, it is fudgy, moist and delicious. 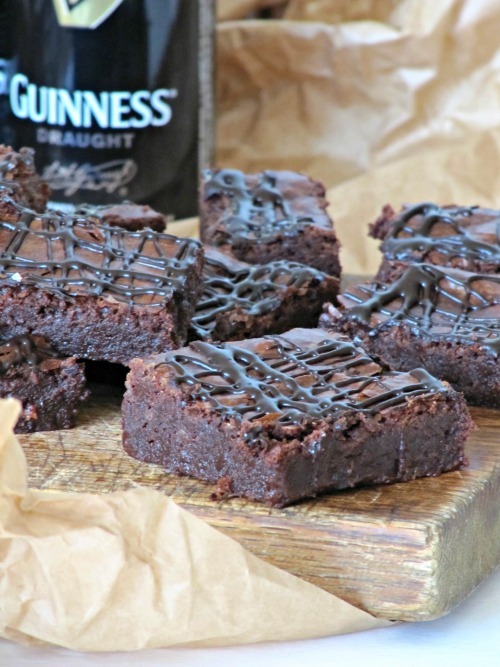 If you don't feel like making a cake than I highly recommend these Guinness Stout Brownies, they are fabulous. Perhaps you want something a little "lighter"?" 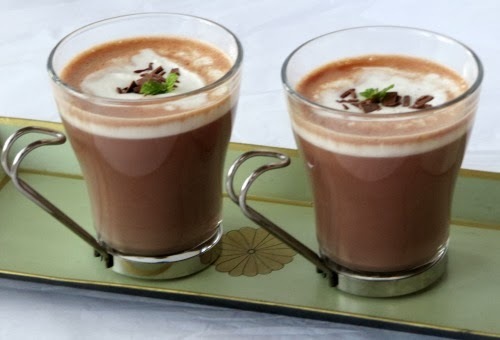 Than definitely try the Bailey's Hot Chocolate, especially if you are still having cold and snowy weather. 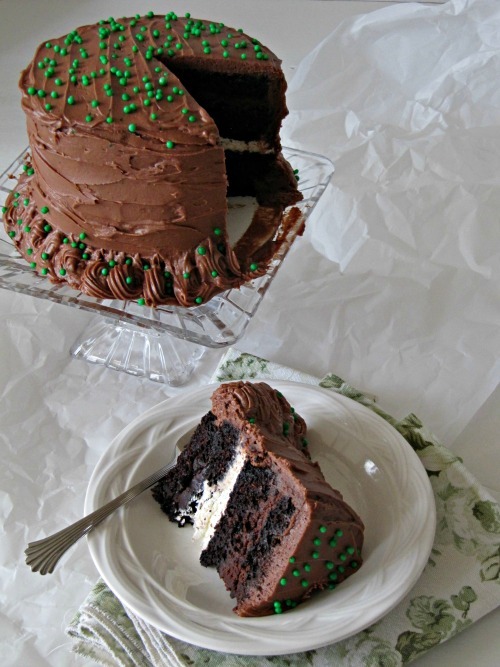 Thank you for sharing your St.Patrick's day recipes. I hope that you have a fabulous day. Good morning! Fasten your seat belts we are in for a wintry ride this week. 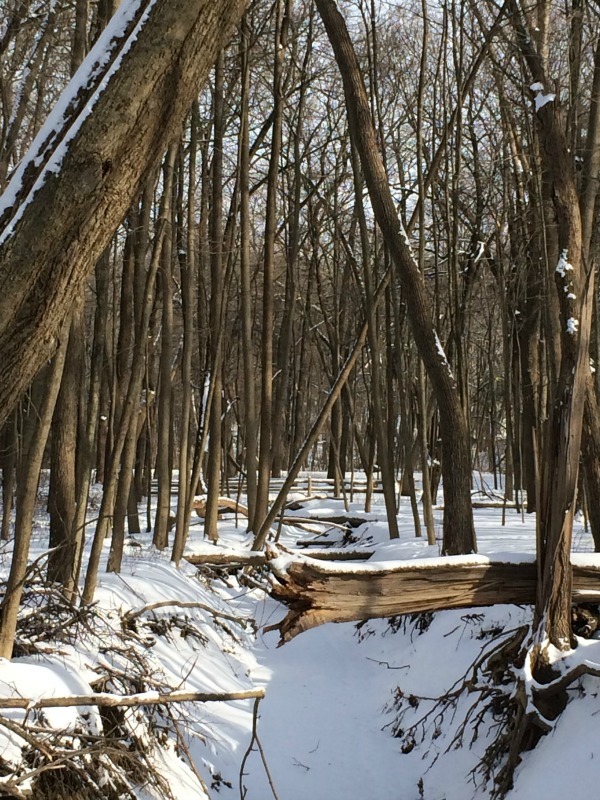 We had very cold winter weather this weekend, sadly no snow. So I have my fingers crossed for a little this week. I know many are going to have a terrible time and for those of you who are stay safe. Last week I asked what you eat for breakfast and the choices ran the gamut from nothing, to sandwiches, to leftovers, to eggs, yogurt, sweet potatoes, oatmeal and more. I do not eat oatmeal often but my sister eats it everyday and this is her favorite way to eat it. 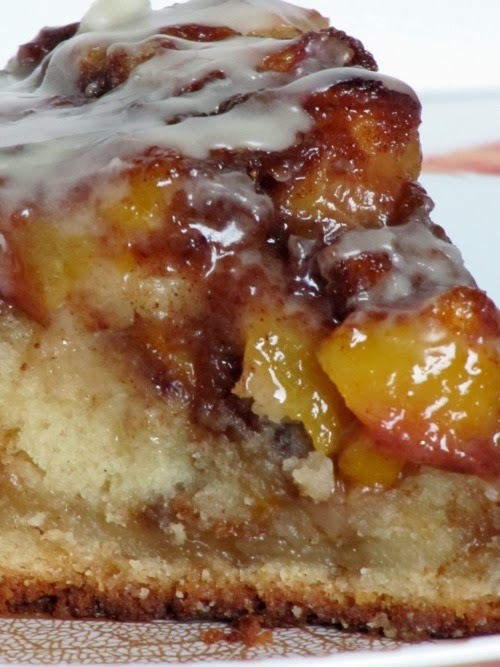 IF you want something that has the essence of apple pie this is the breakfast for you. 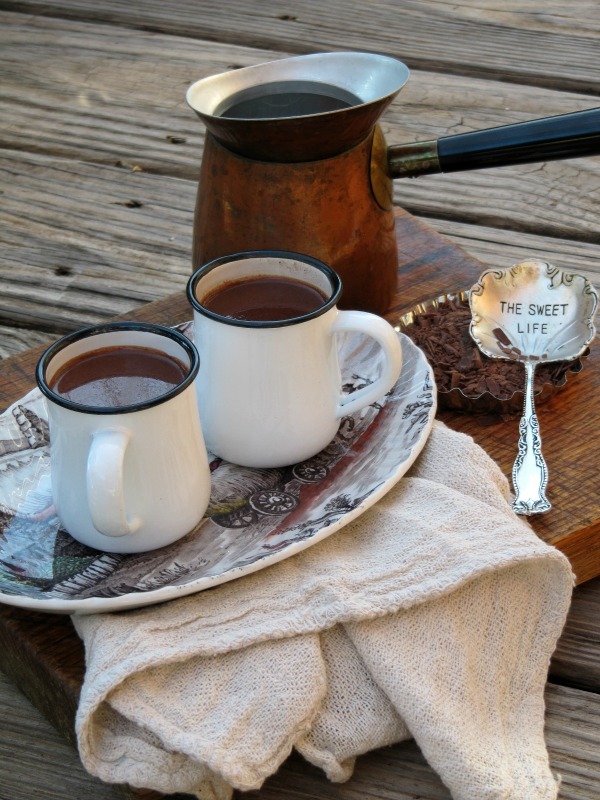 I think it is perfect for a cold winter day. If you are in the path of the storm you might want to make a pot of this for the week. 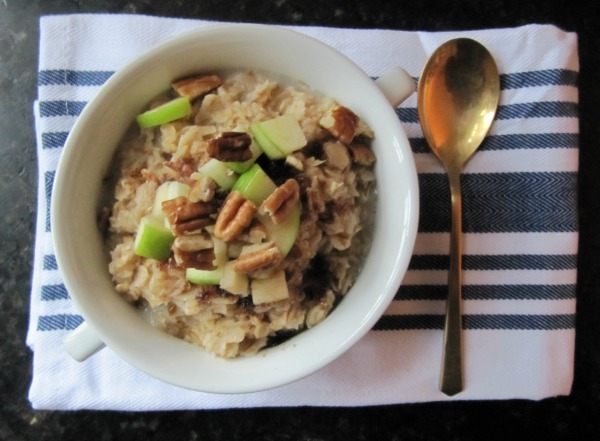 Combine the oatmeal, water, salt and apple in a small saucepan. Bring to a boil then reduce the heat and simmer until done. Mix in the cinnamon, brown sugar and pecans. Pour into bowls and enjoy. 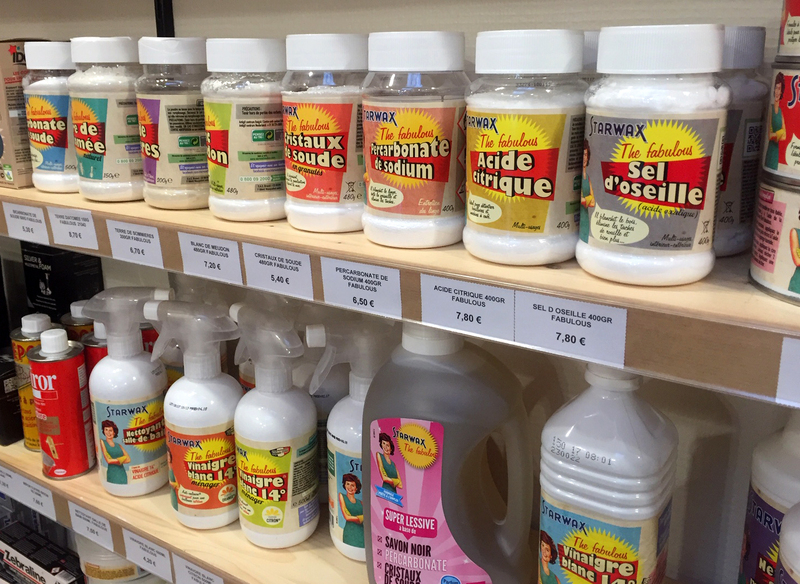 I personally like a lot of spice, so I add more cinnamon, if you like less than use less. 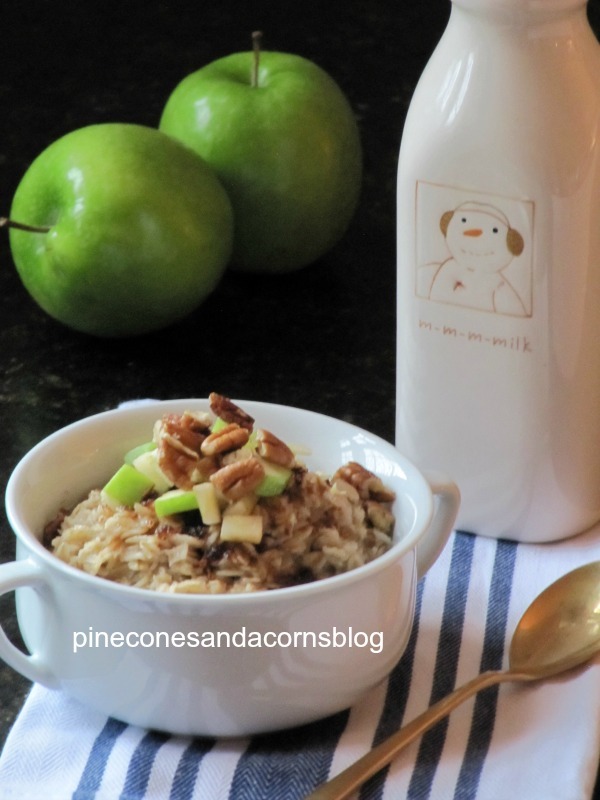 Add more apples and pecans for garnish. 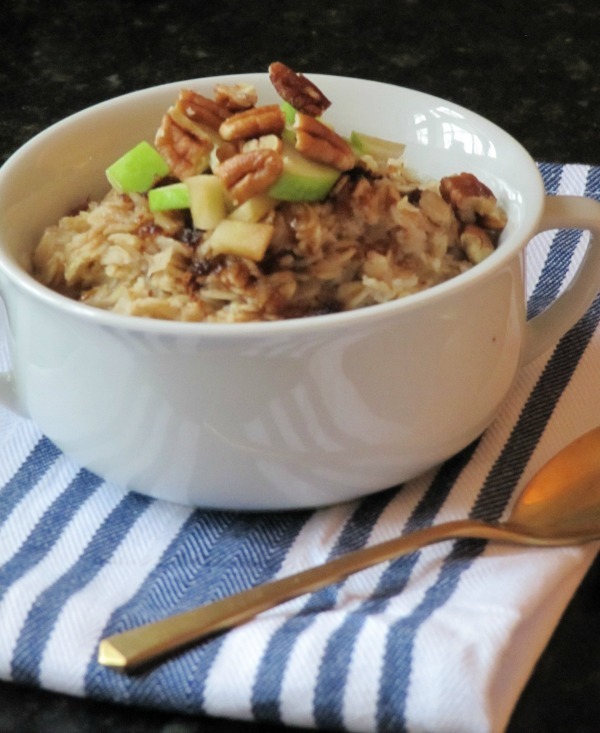 Do you have a special oatmeal recipe that you like? If you feel like sharing please do. I hope that you have a great day. Stay safe in the storms. For those of use who will probably not see snow but would like too I hope you enjoy this collage of snow photos. Good morning! I guess it is going to be another crazy weekend for many, we may actually get snow! I won't lie I would love it if we had a few inches. I love winter and we have had an exceptionally mild one as have many. I miss the snow and would love an excuse to be a bum this weekend and just stay in and eat comfort food, watch movies and read books. or if it snows get out and make a little snowman. 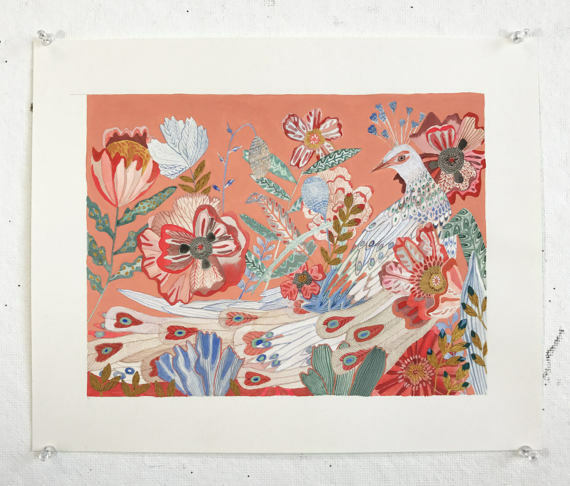 I recently watched a tv program where they spoke to Alice Watters the famed chef and owner of Chez Panisse about The Edible Schoolyard Project a program that she co-founded over 20 years ago. The idea behind the garden was to teach school children not only about food but to use the garden to learn about ancient civilizations, to learn about gardening, harvests, using math in the kitchen using the vegetables grown and more. This is such a great program that it would be wonderful if every school had something like it. If you are a teacher or would like to start something like this in your area check out the information on their webpage. 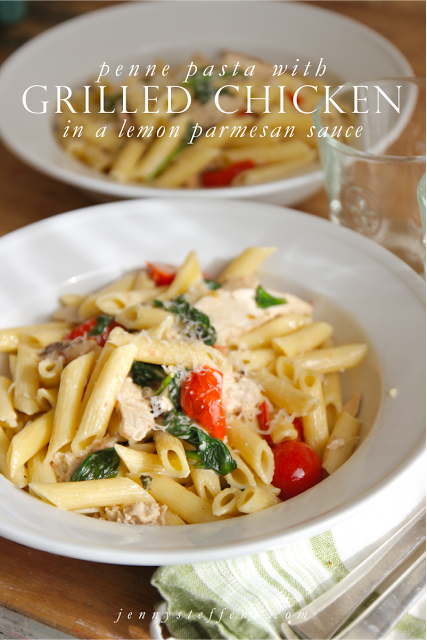 Doesn't this grilled chicken pasta dish from Jenny Steffens Hobick look delicious? I think it would be the perfect way to start the weekend. 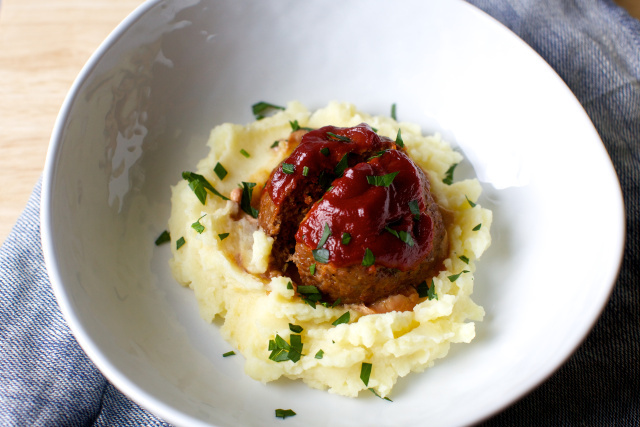 This Tomato Glazed Meatloaf with Browned Butter Potatoes from Smitten Kitchen is going to be perfect Saturday when it is going to be cold and grey. 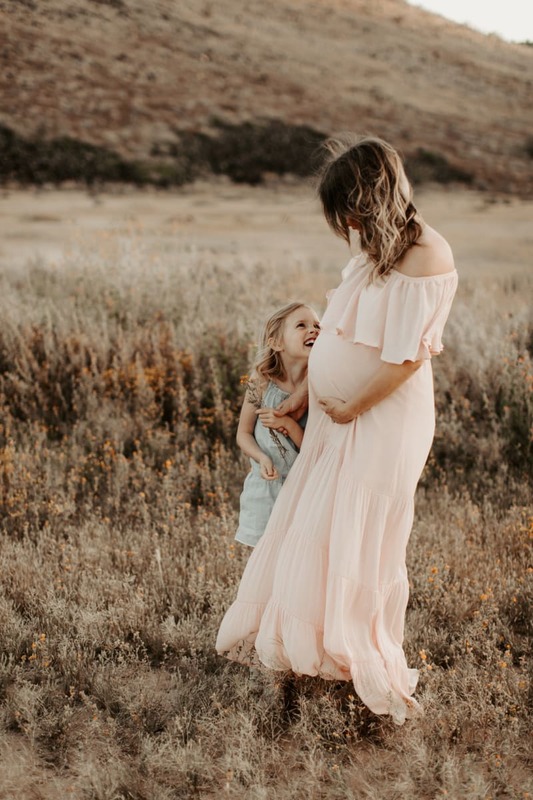 Here is a little food for thought, What You are Seeking is Seeking YOU, this post from Leslie at Gwen Moss is beautifully written and thought provoking. Katie of The Preppy Empty Nester always has the best book, movie and TV recommendations. If you want an honest review of current movies, TV shows and books than check out her post this week. I love auctions and seeing all of the treasure from around the world. 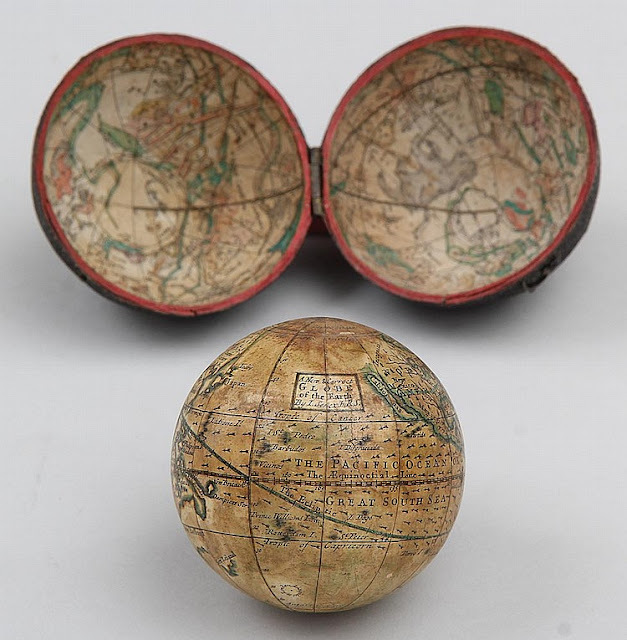 Frequently I find interesting things that I would like to add to my collections, this week I discovered a really cool 18th century pocket globe. I am not sure why one would ever need to carry a globe in their pocket but then again I don't know what it was like to live in the 18th Century. 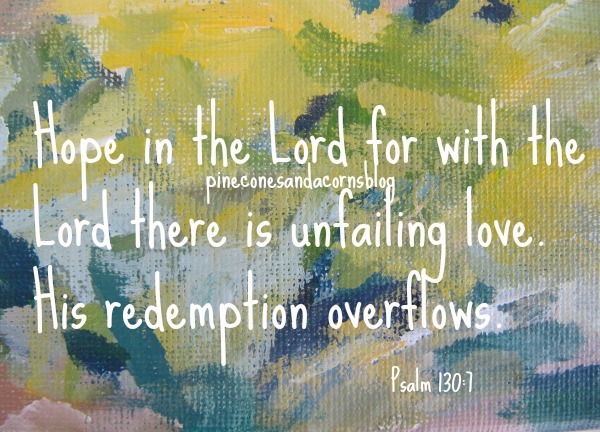 Perhaps you need this in your everyday life. 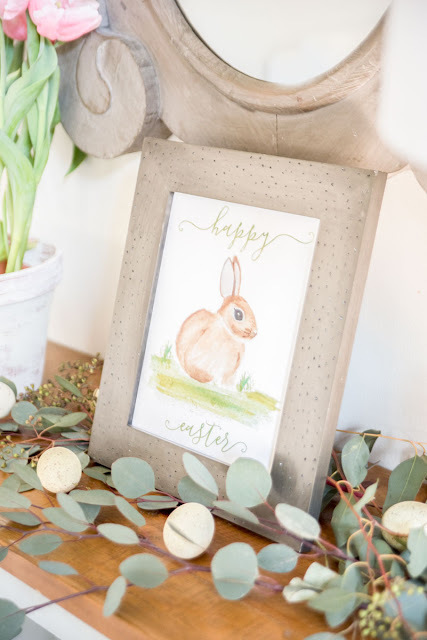 If you would like to add a little Easter to your decor check out this adorable printable from Nina Hendrick. Or this printable from Sarah at Life on Virginia Street . 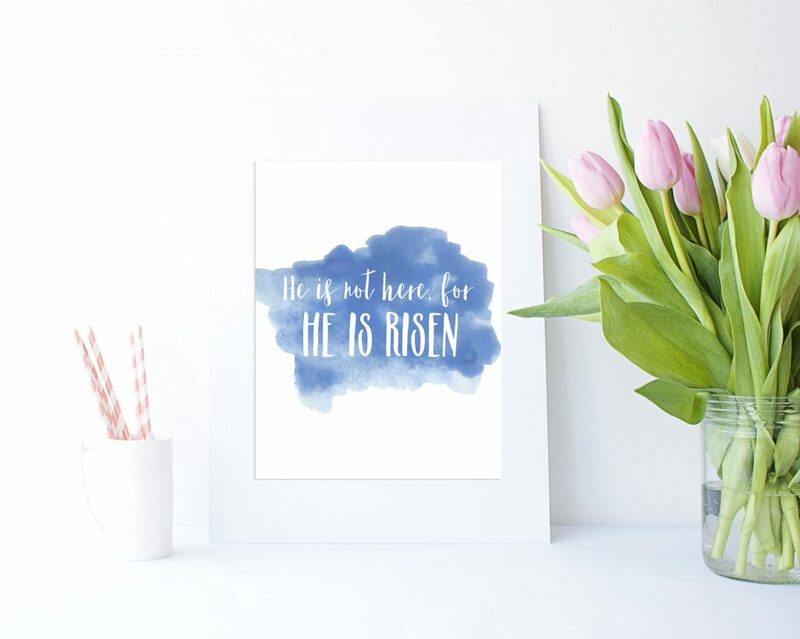 You can also find links to 24 other "free printables" from various bloggers using the links on Life on Virginia Street. 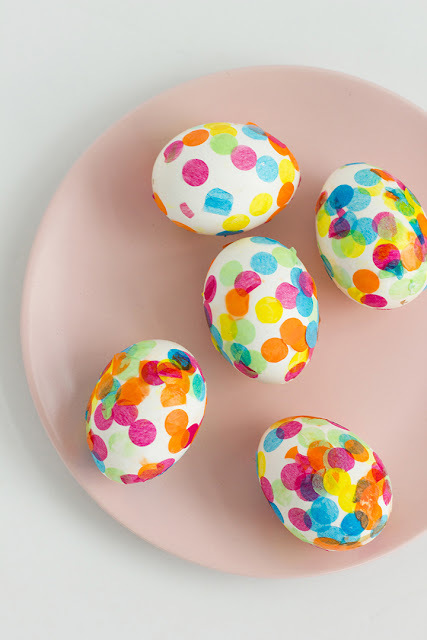 I am getting ready to send an Easter box of treats to my grandkids and I am looking for interesting eggs for them to use to decorate or to hide for their Easter egg hunt. 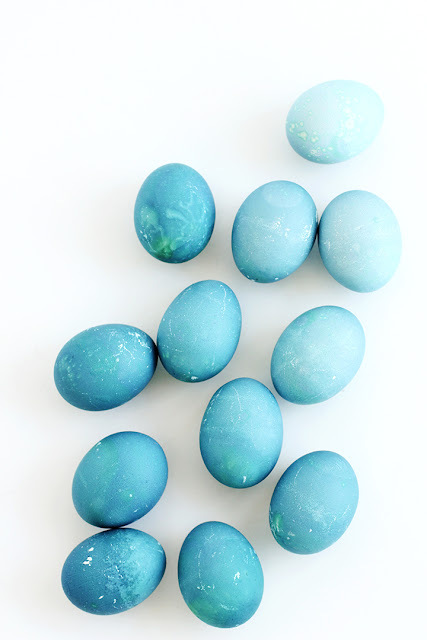 I found a bunch that I think are cute from World Market and I love the little mercury glass ones from Pottery Barn. 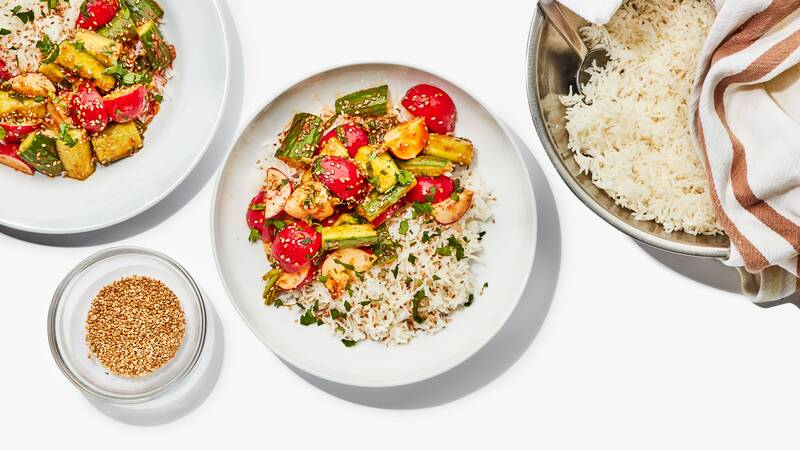 Idid you make anything interesting this week, do you have a new recipe to share? Have you seen a good movie or read an interesting book? If so I would love to hear about it. I hope that you have a relaxing weekend. Be safe if you are in the path of the Nor'Easter. Just Curious...What Do You Eat for Breakfast?